Cross-posted with the permission of Prof. Nathan H. Lents, originally posted at The Human Evolution Blog. It’s not immediately obvious why we should consider animal behavior when we think about how best to craft a system of justice for our society. After all, society, by definition, is all to do with complex culture, an anthro-specific affair. Further, systems of justice have no parallel in the animal world from which to learn. Fortunately, neither of those statements is true. Our social behaviors only seem complex. In reality, we are driven by the same instincts, drives, and emotions as other social animals. The parallels between human and animal behaviors are striking when you look closely. 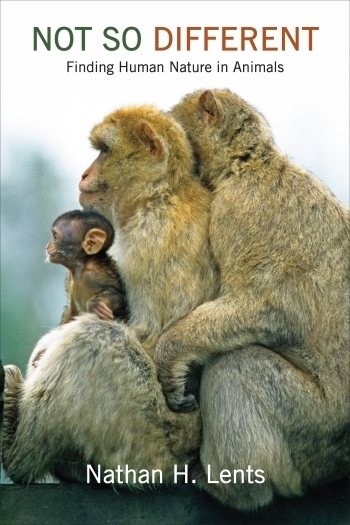 At the same time, many animals have complex and interwoven social relationships. While they may be simpler than ours, animals do live in societies and they do create culture. Secondly, animals most definitely do have suites of behaviors we can characterize as systems of justice. For example, inspired by a very famous experiment with capuchin monkeys, it has been discovered that monkeys, apes, dogs, and a growing list of other mammals, can recognize and protest unfair conditions. 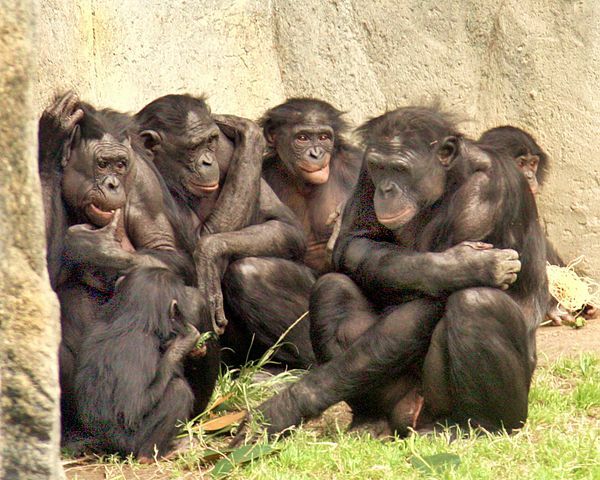 More recently, we have seen that chimpanzees will sometimes stand up against unfair treatment, even when they are the beneficiary. There is research on animal empathy and altruism and how many animals approach social relationships in ways eerily similar humans. There are powerful lessons for how the seemingly human passion for justice actually evolved long before and serves important functions for social mammals. Another example: Many social animals engage in play behaviors as juveniles and use play to (among other benefits) train young members of the group on the intricacies of proper social behaviors. Animals employ various forms of punishment including social isolation, loss of privileges, and even corporal punishment. The way these punishments are applied and experienced by animals bears striking resemblance to our most effective modes of rehabilitative and restorative justice. They also help explain why purely punitive modes of justice usually fail. Animals apply justice in a very specific way and we are at our best when we follow the same pattern. Animals use handicaps to level the playing field, offer apologies for infractions against social order, and enforce rules and norms of behavior. Of course, humans do all of this as well and for all the same reasons. But what are those reasons? This is the key, in my view, towards building a criminal justice that works in concert with our inherent nature, our built-in social instincts and drives. It’s not just more humane; it is more effective, and the data bear this out, and the study of animal behavior shows us why. Professor Nathan H. Lents is a tenured associate professor of molecular biology at John Jay College of the City University of New York, a visiting professor at the University of Lincoln (UK), and author of "Not So Different: Finding Human Nature in Animals" (Columbia University Press, 2016). Professor Lents conducts research in three areas: forensic botany, the human microbiome, and teaching/learning biology at the college level. His work has been funded by the NIH, NSF, US Dept. of Ed, and the Susan G. Komen Breast Cancer Foundation. He also maintains The Human Evolution Blog and authors most of its content.